Use your google cardboard headset , VR Box , VR Shinecon glasses and VR Gear to play this VR Traffic Racing In Car Driving game. VR Traffic Racing In Car Driving game is the ultimate VR Videos Games for virtual reality and VR Apps that gives you full control and supports for all vr glasses. VR Traffic Racing In Car Driving is an endless vr car racing games on city highway tracks to make some new high records. Brace yourself for real racing quests while driving the multiple brandnew sports cars with excellent suspension and turbo engines. Join the fastest drag rally to become the champion of endless car racing games and perform amazing nitrous burnouts to fulfil your racing games fever. Take a ride on cool VR sports cars. Overtake your competitors in this 3d virtual reality race games . Nowadays trend is swinging towards VR, games lovers are shifting towards VR games. If you want to enjoy sheer VR based car racing games then you must download google cardboard with controller games . You need virtual reality headset (cardboard or other VR glasses) for playing this game. Get yourself deep into Virtual Reality world and get adrenaline. Go bumper to bumper while chasing your rivals and use the drifting stunts to reach the finish line fast. Collect maximum coins during your endless journey and keep an eye on track to avoid crashes and road accidents. The VR Traffic Racing In Car Driving comprises the brand new virtual reality technology with full 360 degree rotation to give you amazing taste of highway driving in real 3D view. 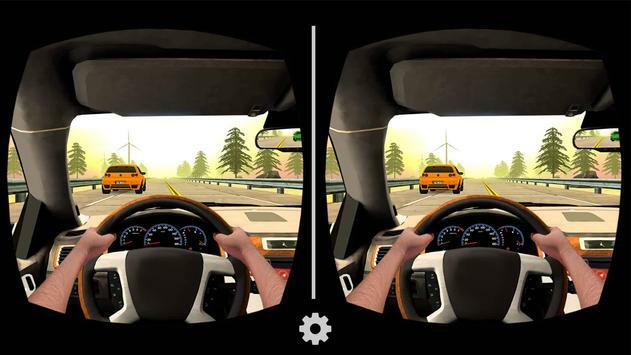 Enjoy the real life car driving in 3d virtual reality race games without any fear of road accidents and injuries. Just focus on the score board and try to gain the highest points. Collect the turbo boosters and other speed packs to give your car an adrenaline filled boost and reach the finish point as soon as possible. The high quality graphics and detailed textures of this endless racing game will surely make you addicted. Just download this best vr car racing games for free and immerse yourself in endless drag racing fun and adventure. The VR Traffic Racing In Car Driving is specially designed for all age people without any limitations or restrictions. This vr games is compatible with all VR headsets and android devices. There are multiple adventurous highway terrains in this VR racing games to make your highway journey more adventurous and thrilling. Get coins and cash to upgrade your sports racing cars or buy new one in the car simulation games 2017. Download this awesome car drifting simulator game to get realistic experience like as sports car racer. Just tilt your head to control the car motion and avoid crashes at any cost. Experience the most realistic vehicle suspension for the first time in amazing virtual reality mode and get addicted to this endless racing game in no time. Realistic virtual reality game with full 360 degree rotation. Most realistic car simulation with great suspensions. Beautifully designed city highways and tracks. Smooth and easy game controls. HighQuality sounds and beautiful music. Use the coins to unlock different amazing game features. Requires VR headset to play. Tilt the VR glasses to move left/right. You must have Gyro sensor in your android device to enjoy this virtual reality game. Put your device into VR glasses to start the endless journey. If you like this game, please try our other games by clicking More from Developer‌ or by visiting our publisher account. And dont forget to rate and review. The VR Traffic Racing In Car Driving is setting a new standard for traffic racing cars. Enjoy very impressive graphics and experience high speed racing! It would be fun and compelling game that we guarantee! Please review VR Traffic Racing In Car Driving : Virtual Games Game and submit your comments below. 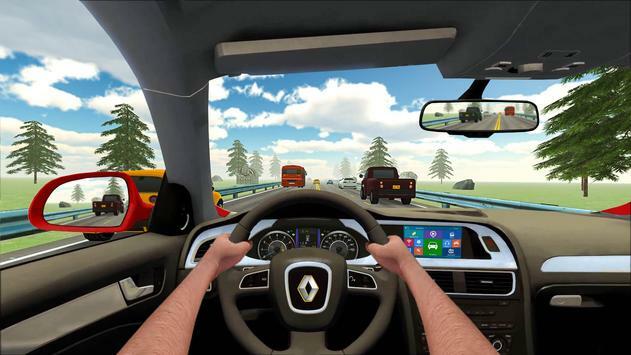 We will collect all comments in an effort to determine whether the VR Traffic Racing In Car Driving : Virtual Games app is reliable, perform as expected and deliver the promised features and functionalities.